Motorcycle News: ELF EMF Motorcycle Cancer: WHAT NEXT? | Motorcycle Cancer Risk: WHAT NEXT? Motorcycle Cancer Risk: WHAT NEXT? Motorcycle News: ELF EMF Motorcycle Cancer: WHAT NEXT? 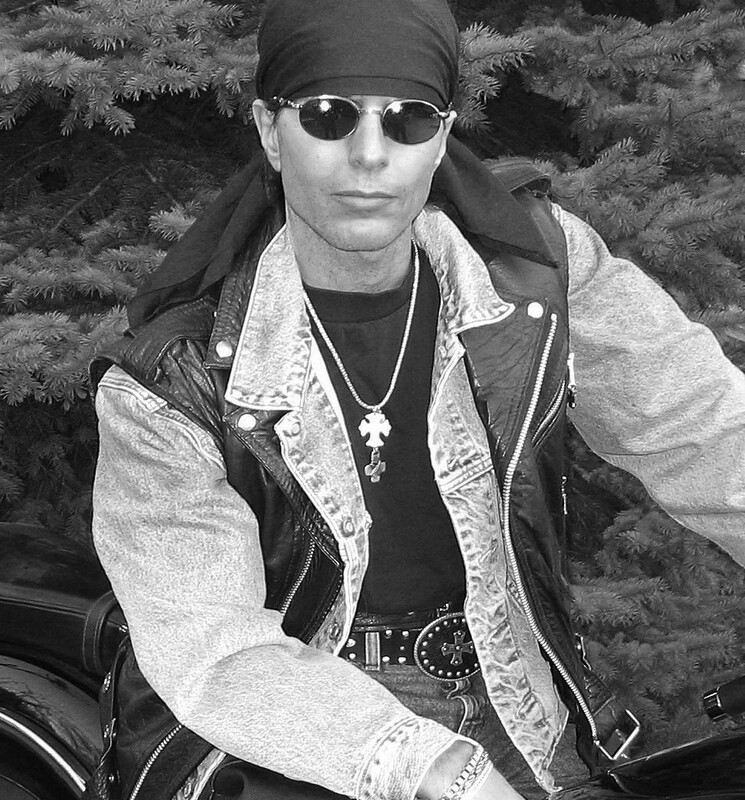 Founder of The Motorcycle Cancer Risk Worldwide Petition, International Motorcyclist Electromagnetic Safety Month Proclamation, Electromagnetic Pro-Ionization Principle and author of the award-winning Motorcycle Cancer Book. The Motorcycle Cancer Book won the 2011 Health/Medical eLIT Bronze Award and Silver Medal for Randall Dale Chipkar, the Health eBook Award-2012 International Book Awards and the IBA Health: Men’s Health Finalist Award. What is the next step for society regarding cancer-controversial environmental electromagnetic pollution? Cancer diagnosis is increasing at an alarming rate. Doctors and experts worldwide are proving detrimental health effects from various electromagnetic exposures regarding hydro-electric towers, cell towers, cell phones, etc. Electromagnetic pollution and dirty electricity are taking the spotlight for cancer promotion along with many health disorders. Industry and government historical denial can no longer be considered as a solution. Concern now includes motorcycles as extremely low frequency electromagnetic field (ELF EMF) excessive magnetic radiation is penetrating millions of riders through motorcycle seats. Of major concern are avid rider cancer survivors. Some will say that I am not a doctor. I am a regular guy just like any other rider but I know that I don’t want cancer-controversial radiation racing through my body every time I ride. For those who understand the issues both The Motorcycle Cancer Book and motorcycle cancer website prove ELF EMF radiation danger for riders worldwide warranting industry attention for safer vehicles. At motorcyclecancer.com the YouTube videos prove excessive ELF EMF magnetic radiation is flooding riders. The motorcycle cancer website provides an extensive list of evidence from doctors and experts proving non-ionizing, non-thermal ELF EMF radiation danger. These courageous men and women are true heroes attempting to restore an electromagnetic environmentally safer world through awareness and education. Their nonprofit work and publications establish a foundation for all to recognize. Unfortunately, proof becomes synonymous with opinion when science meets commerce. Organizations are designed to protect governments and industry from creating public panic regarding health issues. However, ulterior motive billion-dollar industry intervention of electromagnetic scientific integrity has opened a Pandora’s Box compromising consumer trust regarding proof assessment. To pacify public inquiry of electromagnetic health issues officially named organizations and websites claim “everything is fine” regarding various EMF exposures. However, recent reports prove otherwise by establishing detrimental bio-effects from non-ionizing, non-thermal electromagnetic radiations way below existing exposure guidelines. Many respected non-profit organizations such as The BioInitiative Group reveal the urgent need for proper safety regulations regarding various ELF EMF close exposures. Whereas, industry-funded, cleverly worded reports create confusion rather than concern generating a false sense of well being for society. Manufacturing of doubt attempts to absolve accountability. Let’s consider the cell phone controversy regarding children and detrimental health effects. The billion-dollar wireless industry claims that “everything is fine” and that the radiation exposure is within government standards, however; in various countries, restriction and/or banning of phone use by children is now taking place for health precaution. Historically, many products were recalled or banned only after public recognition of consumer harm. Truth is evident within the heart long before proof is recognized by industry. The cell phone danger is not fully understood and not yet recognized by some doctors, however, proof of danger is all that we need to make rational health decisions. Regarding difficult situations, governments adopt the Precautionary Principle. In comparison with wireless communication higher frequencies the motorcycle cancer website exposes the greater penetrating danger of current-induced ELF EMF magnetic field radiation invading riders. At present there are no rational regulations whatsoever to protect motorcyclists from excessive ELF EMF magnetic radiation emission penetrating the groin and entire torso. The motorcycle industry needs to recognize, cooperate and support rational precautionary safety guidelines to reduce rider health risk from excessive ELF EMF radiation above motorcycle seats. People have a right to physiological integrity without synthetic electromagnetic intervention. I feel that we are all rebels inside. Not necessarily “born to be wild” but “born to be free”. Freedom of style and spirit allows us to be individuals – yet we can all share the same concerns. Q: Why did you write Motorcycle Cancer? I wrote Motorcycle Cancer?, also known as The Motorcycle Cancer Book, to inform fellow riders around the world about motorcycle electromagnetic (EM) radiations and their potential links to many biological disorders. I also wrote it to encourage the motorcycle industry to keep riders safer. Q: How did this all start with you? A few years ago, my brother, Glenn, and I were at a motorcycle dealership to purchase two dream bikes. All of the fun had ended when I placed an extremely low frequency electromagnetic field (ELF EMF) radiation meter over one of the seats of an idling bike. We were both shocked at the extremely high radiation readings. I became a man on a mission. After extensive research, I decided to write Motorcycle Cancer? to inform and protect riders. Q: Why did you become concerned? Various types of ELF EMF radiations are linked to health disorders including cancer. I have met countless avid motorcycle riders diagnosed with similar forms of cancers and disorders. All of these riders had a type of extremely low frequency electromagnetic field radiation penetrating up from their motorcycle seats. I understand that people also get these ailments and have never been on a motorcycle but Motorcycle Cancer? is written for those who do ride and the potential risk involved. I consider motorcycle EM radiation a possible “Black Plague” for unsuspecting riders. Q: How will Motorcycle Cancer? affect the motorcycle industry? I feel that Motorcycle Cancer? will send a shock wave through the motorcycle industry only to enhance it for safer vehicles. The motorcycle industry needs to implement protective measures to minimize rider radiation exposure. Consumer safety is priority. Q: What is electromagnetic field radiation? Electromagnetic field radiation is an invisible field produced whenever there is current or electricity flow. EMFs of extremely low frequencies consist of properties that promote biological disorder. Various types of electromagnetic energies or forces have been called “the silent killer”. Please do not confuse high frequency EM emissions with ELF EMF radiation. ELF EMFs possess different characteristics and properties than higher EM frequencies. For example, both the electric and magnetic field components become more distinguishable, detectable and each component is linked to health adversity for various close exposures. ELF EMFs encompass their source. Radiating outwardly, ELF EMFs envelop their origin and invade the surrounding area. The magnetic radiation penetrates through all conventional materials. Properties of regular metals actually assist in their own penetration by cooperating with the ELF EMF magnetic fields. Only highly processed material can dramatically shield us from these cancer-controversial forces. In comparison to wireless EM radiation, electromagnetic fields involving extremely low frequencies are more penetrating to the human body. For example, when EM high frequencies encounter a barrier of conventional metal such as tin, aluminum, copper, steel, lead, etc. the signals experience bounce or deflection from the surface of the metal. However, when the magnetic fields of ELF EMFs encounter the same metal barrier they penetrate right through it. One can imagine how vulnerable our bodies are to these forces. Q: What causes this radiation on a motorcycle? Motorcycles consist of “oscillating current” electrical systems generating anywhere from 10,000 to 70,000 volts of electricity during engine operation. Throughout the electrical system, pulsing EMF radiation of extremely low frequency is produced. Many motorcycles have excessive magnetic radiation generating sources located immediately underneath the rider’s seat away from the heat of the engine. Q: Does every motorcycle generate radiation? Every motorcycle that I have tested revealed ELF EMF radiation and many readings are extremely high levels. ELF EMF magnetic fields radiate up right between our legs into the groin and body. I even detected readings up to six feet away from various motorcycle seats. This floods the rider’s entire torso including the breast, heart, lungs, lymphatic system, immune system, etc. Q: What are the health concerns of ELF EMF radiation exposure? ELF EMF radiation at close exposure is unnatural, cumulative and over time can have devastating biological consequences. Major organizations now agree non-ionizing, non-thermal ELF EMF magnetic fields are a possible carcinogen. The prostate is of major concern as it is one of the closest delicate glands invaded by the radiation. For both men and women riders, the colon and neighboring organs are also at risk. Unfortunately, if cancer initiates in the prostate it could spread to other locations such as the bone, lymph nodes, etc. One of the most profound effects of electromagnetic exposure on the body is a decrease in the production and role of melatonin. Melatonin is the body’s natural hormone for fighting cancer-growth and the gastrointestinal tract is responsible for synthesizing vast amounts of melatonin both paracrine and endocrine. For millions of motorcycle riders, one of the main sources of the body’s cancer inhibiting hormone is getting showered with ELF EMF magnetic fields. Motorcycle ELF EMFs also penetrate bone marrow melatonin. Bone marrow melatonin controls oxidation and cytotoxicity for proper assimilation of red blood cells, white blood cells, stem cells, dendritic cells, B-cells, T-cells, NK-cells, etc. which are crucial for immune system defense against pathogens, disease and cancer. It’s not just about cancers, as explained in Motorcycle Cancer?, many health disorders can be linked to close exposures of different ELF EMF radiations. For example, infertility, sterility, erectile dysfunction, impotence, prostatitis, benign prostatic hyperplasia (BPH)-prostate enlargement, urinary problems, infections and loss of libido could also be side effects of excessive ELF EMF radiation penetrating the groin. ELF EMF exposures can disrupt the role of zinc ions which are linked to impotence and erectile dysfunction. Furthermore, ELF EMF invasion compromises electromagnetic homeostasis involving neuron function, hormone imbalance, testosterone reduction and adrenal fatigue all of which are linked to impotence and libido loss. Various ELF EMF exposures are linked to diabetes complications and heart disease. Promotion of any hereditary cancer progression is also of concern. Prostate cancer, testicular cancer, colorectal cancer and colon cancer are relevant as the groin is the first invaded by motorcycle ELF EMF radiation. Melatonin disruption can affect cancer-growth inhibition at locations anywhere throughout the body. Any melatonin compromise is certainly relevant to hormone-dependent responsive tissues such as mammary epithelial tissue, ovarian tissue and prostate tissue. Along with melatonin suppression, ELF EMFs are linked to hormonal disruption including estrogen elevation and testosterone reduction respectively increasing the risk for breast cancer, testicular cancer, prostate cancer, etc. Great concern resides in motorcycle generated ELF EMFs that reach the breast area. Various types of ELF EMF radiations are linked to interfering with certain breast cancer medication. Regarding ELF EMF magnetic fields showering our torsos, it is also reasonable to be concerned about other types of cancers and medications. Cancer survivors who love to ride need to be aware of this information. On the road to recovery one needs to ensure a favorable biological environment for proper functioning of the immune system, lymph system, melatonin, etc. Electromagnetic homeostasis is essential in assisting restoration of our natural defense mechanisms. Q: What do doctors say? On the motorcycle cancer website links, doctors and experts prove ELF EMF danger worldwide. Everyone, including doctors, should read Motorcycle Cancer? to learn about motorcycle electromagnetic field radiation; otherwise they may not fully understand the potential biological harm. Some doctors seem to follow a protocol of “there’s no problem until there’s a problem”. Let’s not forget it was industry that allowed countless products onto the market only to be recalled or banned after public recognition of consumer harm. Truth within the heart is evident long before proof is recognized by industry. Concerning various ELF EMF radiations, the best advice doctors are giving is “prudent avoidance” of exposure as with other potential carcinogens. Together we can encourage the motorcycle industry to keep riders safer. Q: Is the radiation on a motorcycle the same as from other sources? Motorcycle ELF EMF radiation can be a greater risk than exposure from other electrical sources. ELF EMF sources can vary but the detrimental health issues remain the same. Keep in mind that motorcycle ELF EMFs are an extremely close groin invasion that can reach and penetrate the entire torso. Distance from ELF EMF sources and duration of exposure are key factors in risk assessment. Motorcycle police officers deserve our utmost attention regarding these issues due to riding duration. Hopefully, motorcycle police associations worldwide will initiate this essential epidemiology. Certainly we can reciprocate the motto “to serve and protect” for some of our finest. A motorcycle is one of the only places on earth where our groins and vital organs are so close to such erratic ELF EMF magnetic fields generated directly proportional to engine revs. Excessive ELF EMF emission concern involves motorcycles, quad bikes, all-terrain vehicles (ATVs), hybrid-electric vehicles, etc.. Nobody wants cancer-controversial radiation racing through their body every time they ride. Q: Is there proof of electromagnetic harm? Science proves electromagnetic danger. The updated links on the motorcycle cancer website provide a comprehensive accounting from experts and doctors worldwide regarding proof of electromagnetic harm. Many health professionals are coming forward to contest the complacency of antiquated views regarding various electromagnetic exposures and serious health effects. Again, major organizations now agree that non-ionizing, non-thermal ELF EMF magnetic fields are a possible carcinogen. Motorcycle seat meter readings prove excessive ELF EMF magnetic fields are showering riders from below. Motorcycle Cancer? and the motorcycle cancer website prove electromagnetic radiation danger for millions of riders worldwide. To pacify public inquiry of electromagnetic health issues, officially named organizations and websites claim “everything is fine” regarding various EMF exposures. However, new and up to date reports prove otherwise. Candy coated intimidation can interfere with true health prosperity. Recognition of carcinogenesis from any new source enters an arena of timeless epidemiology that can involve biased propaganda and political issues. The manufacturing of doubt attempts to absolve accountability. As with other potential carcinogens, proof of EM harm may never be openly accepted by the “authorities”. Concerning EM health issues, do we really need a “rubber stamp” to validate our common sense? Electromagnetic health risk reassessments are emerging worldwide from nonprofit organizations outraged at ulterior motive industrial interference of scientific integrity. In recognition, many governments are now adopting the Precautionary Principle regarding electromagnetic close exposures and public safety. Let’s consider the cell phone controversy regarding children and detrimental health effects including carcinogenesis. The billion dollar wireless industry claims that the public has not “proven” anything discussed; however, in various countries, restriction and/or banning of phone use by children is now taking place for health precaution. The cell phone danger is not fully understood and not yet recognized by some doctors; however, proof of danger is all that is necessary to make rational health decisions. In comparison to wireless cell frequencies, the greater penetrating danger of current-induced radiation fields invading riders is explained on the motorcycle cancer website. ELF EMF radiation education can only lead to health prosperity. On page 2 of the motorcycle cancer website The BioInitiative Report is an ice-breaker for properly educating people about the dangers of EM radiation. This up to date reporting involves some of the best experts in the field and it is time to start protecting people with precautionary measures. The saying, “What you don’t know won’t hurt you”, is eroding in this new invisible high-tech world. Individual responsibility leads to content accountability. The BioInitiative Report plays a major role in government education for supporting EMF resolutions such as The Catania, Benevento, Reis and Venice Resolutions regarding public safety and various electromagnetic exposures. ELF EMFs narrowly escape direct carcinogen classification due to their accomplice role of promoting carcinogenesis through indirect biological chain reactions. I leave proof of electromagnetic harm to the experts in the field. However, I also recognize that proof becomes synonymous with opinion when science meets commerce. I feel that truth is the best credential as explained in Motorcycle Cancer?. Q: What is the government doing about EM radiation? The best response I can give you is that there is “proof” and there is “politics”. Organizations and politics are designed to protect the government so as to not create public panic. I feel that a “tiger by the tail” situation exists between government and industries where EM related products and services are involved. The links on my website reveal that many experts believe existing regulations are extremely inadequate concerning various EM close exposures and public safety. Unfortunately, this can create a “false sense of well being” for different industries that claim compliance to the standards. Where does that leave the consumer? The links on my website reveal that various ELF EMF exposures, without molecular thermal effects, are linked to biological adversity. Many believe this is where obsolete exposure regulations fail us. In lieu of controversy it appears that some governments have created an “every man for himself” attitude concerning various types of EM radiations. It’s like saying, “Become knowledgeable consumers and make your own decisions.” As mentioned, government capabilities can be limited concerning certain situations. Enter the Precautionary Principle. The Precautionary Principle is only effective if consumers are provided with proper information. One goal is to have the motorcycle industry publish the ELF EMF radiation emissions penetrating up through motorcycle seats. Another option would be to place a sticker or tag on each motorcycle revealing the level of ELF EMF radiation penetrating into the rider’s groin. Then, at the point of purchase, consumers (especially avid rider cancer survivors) can make personal decisions regarding excessive ELF EMF magnetic field close exposure. Ultimately, the best solution is to have motorcycles manufactured with electrical designs that are ELF EMF safer by addressing the emission. Another possible remedy is to relocate excessive ELF EMF magnetic field radiation producing components from immediately beneath motorcycle seats. Thanks to courageous and responsible journalism, a more educated and thinking society is evolving regarding electromagnetic close exposures and health issues. Historically, organizations claimed insufficient proof concerning electromagnetic health issues. However, insufficient proof does not mean that something is safe. Evidence alone can validate precaution. Again, doctors now prove electromagnetic danger. It appears that some governments are content in passing off EM responsibility to future generations. We have more information today than ever before and organizations need to reassess their position on electromagnetic health issues for public safety. Historically, public safety regulations focused on ionizing or thermal causing radiations. However, research proves adverse bio-effects, even at low levels of electromagnetic exposures, including ELF EMF radiations classified as non-ionizing and non-thermal. ELF EMFs interfere with cell communication and ion transfer, affecting molecular affinity affiliated with essential assimilations. One example is calcium ion efflux intervention, which adversely affects melatonin synthesis and its function of free radical neutralization throughout the body. “Electron stealing” unstable free radicals are linked to many health disorders. Various non-ionizing electromagnetic radiations promote adverse ion/electron bio-effects, which affect our health over time. Revision of electromagnetic exposure regulation, based on bio-effects, rather than thermal or instantaneous ionization, is urgently required. A new classification of “pro-ionizing” radiation is appropriate. For a more practical evaluation of non-ionizing radiation, I developed the Electromagnetic Pro-Ionization Principle to assist in public health risk reassessment. Q: Do you blame the motorcycle manufacturers? It’s not about blame. It’s about future rider well-being. I feel it’s the motorcycle industry’s responsibility to recognize the issues regarding rider radiation exposure. Now that a type of motorcycle ELF EMF radiation has been exposed, any subsequent industry denial cannot be considered as a solution. People should not have to gamble with their health because they love riding motorcycles. Motorcycle “higher frequency” EM emissions, such as radio frequency interference (RFI) also known as electromagnetic interference (EMI), are addressed by industry standard regulations. This attempts to control EM interference regarding electronic equipment, radios, etc. Presently the standards have no rational provisions whatsoever concerning a rider’s close exposure to excessive ELF EMFs and their potential health effects. Riders deserve to know the truth. Great public concern is now emerging regarding various harmful electromagnetic energies. With this new information and a goal of health prosperity the industry needs to revisit the suggested standards and give motorcycles their own separate guidelines addressing excessive ELF EMF emission. Integrity must prevail over complacency and conventionalism. The spirit of motorcyclist safety needs to encompass emerging technological health issues to confirm consumer confidence. Q: What can riders do for radiation protection? Riders need to meter read their motorcycle seat radiation to assess their individual situation. Only then can they make appropriate personal decisions to address this issue. Riders can rent, borrow or buy a Guass meter in their local area. ELF EMF magnetic fields penetrate through all conventional metals as explained on the site. Only highly processed material can effectively shield us from excessive ELF EMFs. I feel that motorcycle seat ELF EMF radiation shielding can provide riders with peace of mind. The United Kingdom has recently granted me the patent for RiderSaver™ ELF EMF shielding motorcycle seats. I am grateful to the UK for sharing my vision and I appreciate their recognition of this serious health concern for motorcyclists. This is a major step in my quest to protect riders worldwide. With patent protection, we can now aggressively market innovative internally shielded seats to help keep riders safer from excessive ELF EMF radiation. The UK, Canada and the USA have now granted me the RiderSaver™ trademark. As mentioned earlier, the best remedy is to have the motorcycle industry responsibly address excessive ELF EMF emission during bike manufacturing. Riders can sign The Motorcycle Cancer Risk Worldwide Petition to encourage the motorcycle industry for safer vehicles. Q: Are you in this for the money? Producing a successful book and motorcycle seat accessory that helps people worldwide is a dream come true. I also had money before I wrote Motorcycle Cancer? which enabled me to research and develop the book, patent and RiderSaver™ trademark. Furthermore, I feel that I am contributing to the motorcycle industry for safer vehicles. I also feel that riders should not have to be out of pocket for my product or any other type of shielding to re-direct motorcycle magnetic field radiation. Excessive ELF EMF emission is a motorcycle industry problem regarding rider health safety and it needs to be addressed at the motorcycle manufacturing level. My goal is to inform and protect fellow riders worldwide. You don’t have to be a science expert or health professional to understand this motorcycle concern. Common sense holds the key. Ulterior-motive skeptical blogs create confusion rather than concern. Some blogs present inaccurate information generating comments that thrive upon member self-amusement regardless of important issues. Conquering cancer requires our utmost attention concerning any potential cancer causation, cancer-growth promotion or cancer medication disruption. Complacency is synonymous with skepticism. Courage is synonymous with making a difference. For those few who feel that ridicule is the answer to this important motorcycle issue we hope that one day you will change your point of view and join us on this rider safety quest. After the jabs, jokes, skeptics and misquotes the fact still remains that millions of avid riders are having excessive cancer-controversial radiation penetrating their groins every time they ride. Responsible rider discussion can lead to health correlations that provide further insight. Riders who share personal health issues reveal a new kind of courage. Riders worldwide can send their health stories and views to me through page 2 of the motorcycle cancer website below. The response has been overwhelming. The emails assist in my worldwide campaign to expose this concern to the motorcycle industry. We need to take a stand for truth. People have a right to physiological integrity without synthetic electromagnetic intervention. The motorcycle industry needs to recognize, cooperate and support rational precautionary safety guidelines to reduce rider health risk from excessive ELF EMF radiation above motorcycle seats. I developed the Motorcyclist Electromagnetic Safety Month Proclamation for international governments to help keep riders safer. I also developed the The Motorcycle Cancer Risk Worldwide Petition. The target is the World Health Organization representing international governments and the global motorcycle industry. The goal is global unification of consumer product rational safety standards and labeling regarding ELF EMF magnetic radiation emissions to keep riders safer. Let’s put “true freedom” back into riding motorcycles!